Please enter the name of the location/venue where your event will be taking place. - San Diego's most affordable sound, lighting, photography and videography. Our minimum order amount per event is only $350. - Easy ﻿online booking/planning﻿ system. No phone calls required. - All equipment is ﻿delivered and set up﻿ at your event location. - Unlike many of our competitors, we always respond to emails within 24 hours and provide ﻿detailed answers﻿ to all of your questions. - Our packages are very transparent. Every client pays the same price. 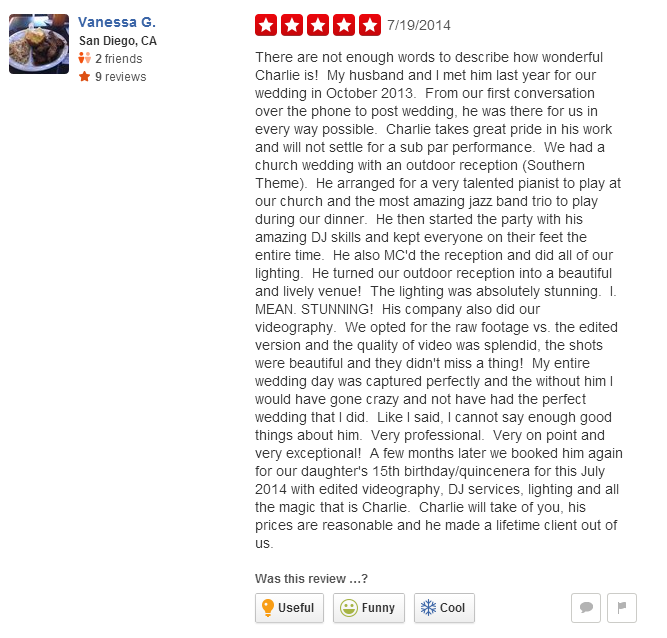 - Excellent online ﻿reputation﻿ on Yelp, Google and Wedding Wire. - Integrity, professionalism, reliability and accountability. Having provided PA systems, audio equipment, sound engineering, stage lighting, dance floor lighting, LED up lighting, gobo monograms, outdoor flood lighting, event photography and videography for hundreds of weddings, corporate celebrations, live concerts, indoor and outdoor festivals and many other public and private events, we are one of the leading event sound & lighting rental companies in Southern California. Our clientele includes a number of celebrities, politicians, large corporations and, of course, many private citizens. When you choose San Diego Sound & Lighting, you always get talented, experienced and professional sound and lighting technicians, clean state-of-the-art equipment and a very personalized level of service committed to the success of your event. For booking details and availability information, please fill out this form. Charlie Walkrich is the founder, owner and operator at San Diego Sound and Lighting, Charlie Walkrich is a Ukrainian-American music composer, producer, singer, keyboard player, drummer, DJ and entrepreneur. His music is a blend of 70s and 80s dance/rock with modern melodic electro house and many other genres. Listeners often associate Charlie's music with traveling in time. Charlie started his music career in the late ‘90s, performing at local live concerts in Ukraine. He was playing drums and keyboards, as well as touring with a choir, working as a singer. 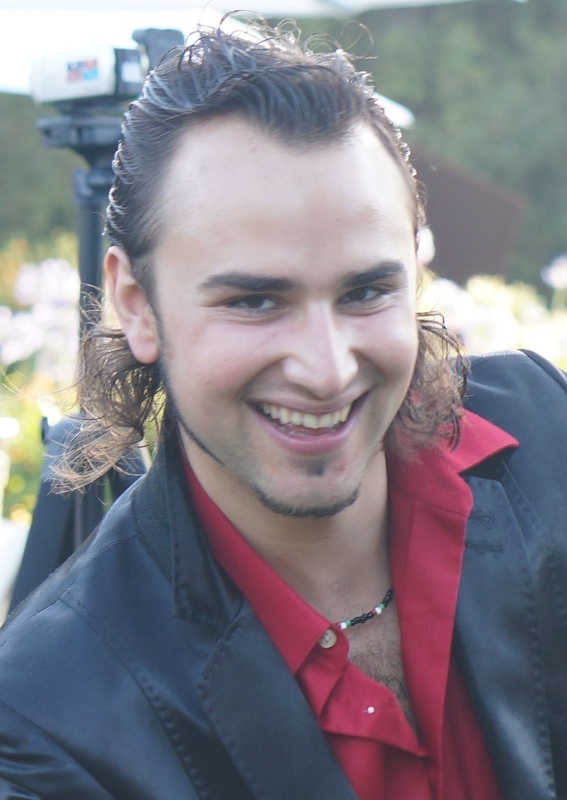 Charlie studied at the Kyiv National University of Culture and Arts for a career in entertainment management while joining various live bands, giving concerts at nightclubs, restaurants, weddings, as well as organizing and managing different private and public events, such as international conventions, corporate celebrations, charity balls, etc. 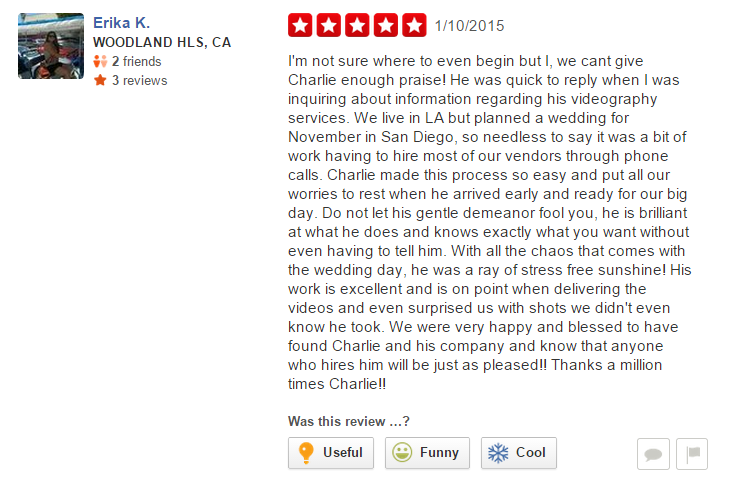 In the summer of 2010, Charlie moved to the USA to pursue the American dream. He started "Golden Gate Sunrise Entertainment"- one of the leading event music, sound, lighting, photography and videography providers in Southern California. Over the years, his company has become very successful. 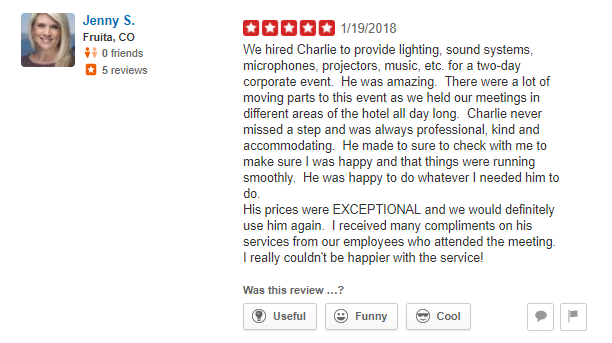 While being the owner and managing most of its operations, Charlie continues to actively produce new tracks, explore new music genres and collaborate with other artists. 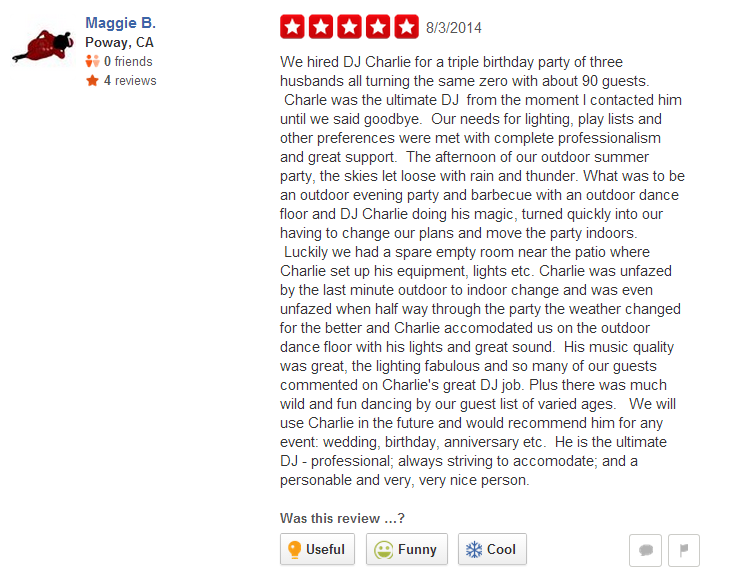 Charlie's music has been featured on radio and TV, and his new singles are released regularly. Question: How long before the start time of my event will you arrive? Answer: Depending on the package you select, our event staff will arrive one to three hours before the service start time listed on the contract. As long as your event or wedding venue does not have strict restrictions that limit the amount of setup time that vendors have, we would like to arrive as early as possible so we can work in a stress-free environment and make sure everything is ready before your first guest arrives. Question: Are there any extra fees in addition to what's listed on this website? Answer: While setup, tear down, labor and tax are usually included, a small travel fee of $0.25 per mile (round trip) applies to all bookings. For example, if your event venue is located 50 miles away from our office (92110), the total travel fee will be $25 for a 100-mile round trip. Question: Can I get the $350 single sound system rental package for my wedding and have you move the speakers from the ceremony area into the reception hall? Answer: Unfortunately, this is not possible, because it does take time to move all the speakers, stands, microphones, sound mixer, cables, extensions and make sure it's all setup properly and not in anyone's way. What would your guests think while waiting and watching someone set it all up in the middle of your wedding? Our rates are very affordable and, at the very least, you can add one more speaker ($150) and a sound mixer ($50) for your ceremony, which would allow us to set up all the equipment before your first guest arrives. Question: Do you offer market lighting? Answer: Unfortunately, at this time we do not offer traditional market lighting. It requires heavy duty event lighting polls which we do not carry. As a more affordable alternative to wedding market lighting, we would like to suggest that you consider our outdoor lighting packages or our event string lighting. Question: How much in advance do I need to book your services? Answer: We get a lot of inquiries every day and the earlier you contact us, the more likely we'll be available for your date. We are often booked a year in advance but we still welcome last minute calls. Answer: Yes, most of our lighting rental and sound system rental packages start at $500 per event and, therefore, the minimum order amount is $500. 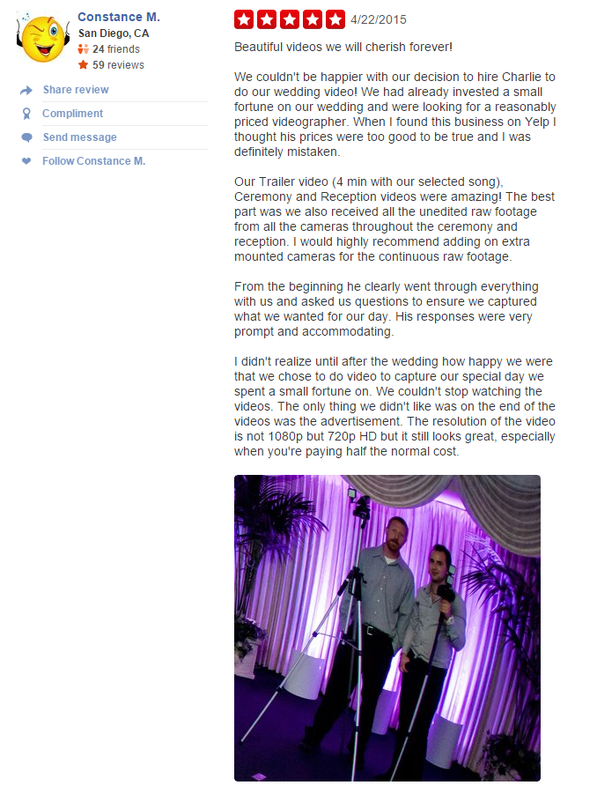 Our affordable event photography and/or event videography packages start at $500 as well. According to our information, the above minimums are among the lowest in Southern California. Answer: We charge 20% more for all bookings processed less than 72 hours (3 days) prior to the coverage start time listed on the contract. This fee includes Square's credit card payment processing charge, expedited processing of the contract, last-minute arrangements with our workers and expedited planning.​​ The fee does not apply to clients who finalize the booking at least 72 hours in advance. Question: Why should I use custom lighting for my event? Answer: Unless your event is in daylight or in a room that cannot be darkened, lighting will set the atmosphere and the mood of your event. Our lights will bring your wedding or event to a much higher level. They will match your theme color and add much more elegance, energy, sophistication and excitement to your room. You, your guests and your photographers will love it! Question: ﻿﻿﻿﻿Would you recommend wireless or wired microphones? Answer: Although we can provide both wired and wireless mics, we usually recommend using wired mics for the most important events such as wedding ceremonies. A wired mic gives you a 100% guarantee that there won't be any sound related problems. Wireless mics are not as reliable due to possible frequency interference problems and lower sound quality. 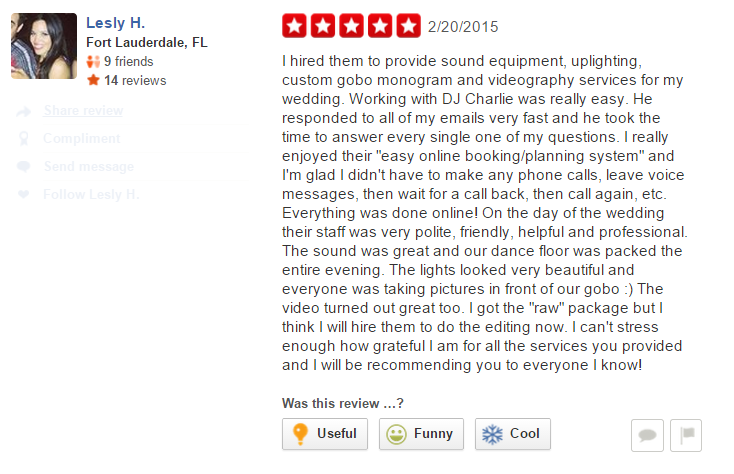 Answer: Our wedding and event sound system, DJ equipment, videography and LED lighting decor rental prices are so low are so low that, unfortunately, there is no room for discounts. One of our main goals is to treat every client equally and keep our prices the same for everyone. We also understand that you may be on a tight budget, which is why we offer an extensive selection of services with a relatively low minimum order amount. Question: In addition to sound and lights, what other services do you offer? Answer: We also offer very affordable, experienced and professional event and wedding DJs, mucisians, photographers and videographers. Our photo packages start at $600/event, video packages start at $450/event, DJ packages start at $500/event. If you'd like to learn more about these services, please click here. 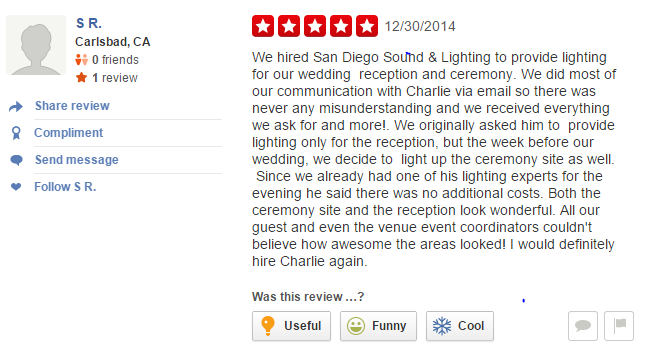 Question: What wedding venues in the San Diego area have you worked at in the past? Answer: We have provided our services at hundreds of different hotels, restaurants, museums, wineries churches, country clubs, theaters, private homes and community centers in San Diego and the surrounding areas. If you are worried whether or not we have worked at your particular venue, we can assure you that it doesn't affect the quality of our work. Answer: ﻿When you decide to reserve our services for your event date, we would need to sign a contract and process a non-refundable $100 payment. As soon as we get your first payment, we may have to turn down other requests for the same date. The 2nd payment (half of the remaining amount) is due at least 30 days prior to your event date. The 3rd payment (remaining balance) is due in cash upon arrival of our service crew member on the day of your occasion. The services will not be provided if any of the payments are not processed on time. Our refund policy allows you to get your money back at any time before the due date and time of each payment, which is why we encourage you not to wait until the last moment and pay early. If we are unable to fulfill the contract due to causes which cannot be anticipated, a full refund will be processed. Otherwise, all payments are non-refundable after their due date listed on the contract. Question: What should I do if the equipment I rented doesn't work? 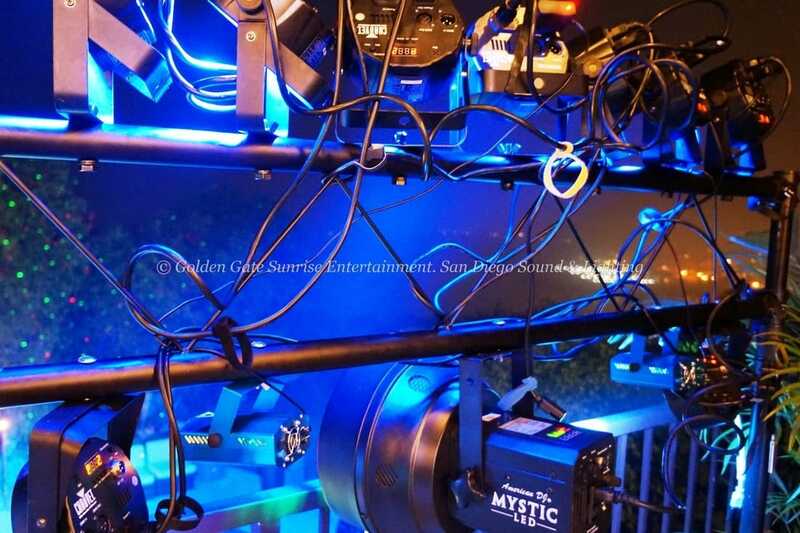 Answer: After the equipment is delivered and set up at your event location, our San Diego sound and lighting technicians will test everything in your presence and show you how to use it. There shouldn't be any problems as long as our instructions are followed. If you experience any difficulties, we would be happy to assist you via a phone call, email, text or even in person. Question: In case my plans change, do you offer refunds? Answer: We understand that many things can happen in life. If you need to cancel our services for any reason, each payment would be refundable before its due date and time listed on the contract.. For example, if you request a cancellation at least 30 days prior to your event date, you'll get a full refund minus a $100 non-refundable fee that was charged to reserve the date. As an alternative, you may also cancel any time before we start setting up on the day of the event. In that case you would get half of your money back. 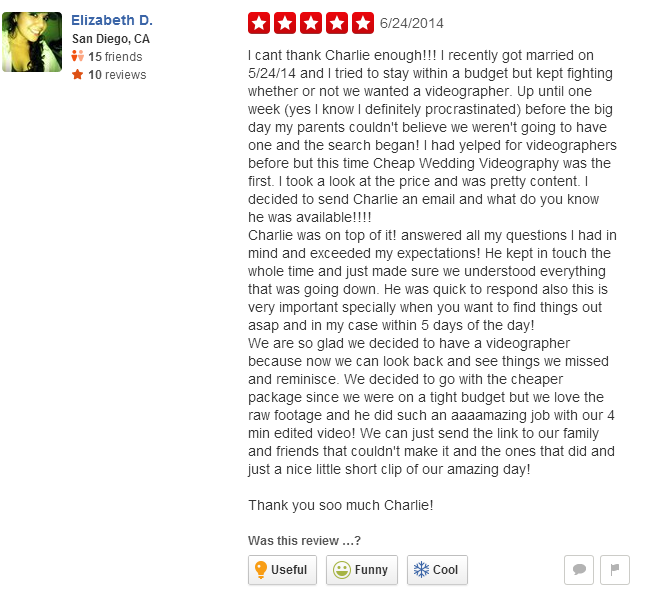 This applies to our event and wedding videography services, photography, DJ services, sound and lighting. If you have any further questions, please contact us.